Like the changing of the seasons, the progression of Alzheimer’s disease can be marked by a number of key differentiators. And although each individual experiences the disease uniquely, there are some commonalities prevalent that typically present in each stage. Compassionate Nursing Services of St. Louis offers the following signs for family caregivers to be aware of, in an effort to provide the most appropriate level of care for each stage. Increased memory loss, including forgetting personal information such as address, phone number, events from their own past history, the correct day and time, etc. It’s important for family members to maintain a strong network of support throughout each stage of the disease, in order to provide the very best care for their loved one with Alzheimer’s, and for their own health and wellbeing. 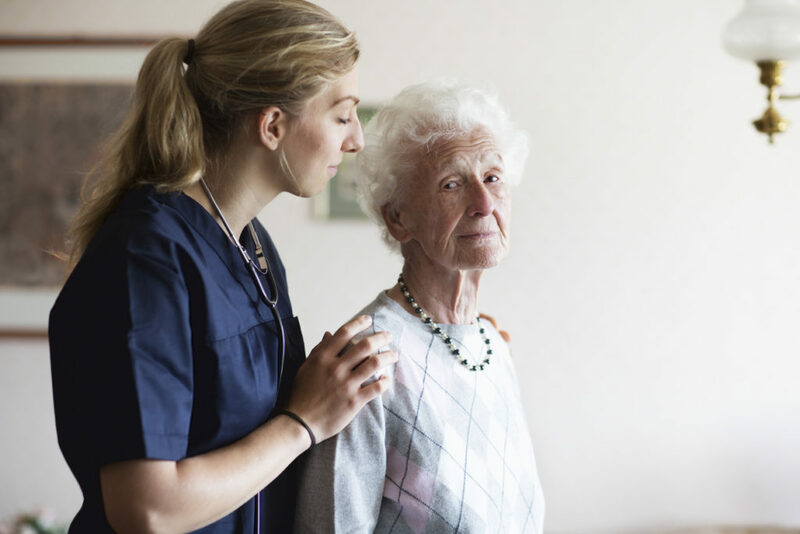 Compassionate Nursing Services of St. Louis offers customized in-home Alzheimer’s and dementia care, partnering with family caregivers to provide as much or as little support as needed. In the early stage of the disease, this could involve a few hours each week of respite care, allowing family members a chance to take time for their own needs and to rest and recharge. In later stages, around-the-clock care can ensure the senior is safe and well cared for at all times, and that day-to-day tasks, such as meal preparation, light housekeeping, laundry, and personal care for the senior are all taken care of – allowing families more quality time together. To learn more, call on the Alzheimer’s care professionals at Compassionate Nursing Services. You can reach us by phone at 314-432-4312, or by answering a few simple questions via our online contact form. With Compassionate Nursing Services, you always have a trusted care team to walk beside you through the journey of Alzheimer’s. It helps to know you’re not alone!